The lovely Mariel, who was featured in a Geek of the Week post in April, has recently opened a new Etsy store—Ask LOLA—influenced by her geeky/nerdy personality, her faith and simple minimalist design. geek out. have faith. craft on. i've always enjoyed crafting and creating. my lola (filipino word for grandma) is one of the influential crafters in my life, and my shop's name is inspired by her. "may i have some juice?" / "ask lola"
"can you help me tie my shoes?" / "ask lola"
"will you play a game with me?" / "ask lola"
eventually, i caught on, and later that evening when my uncle asked me to hand him a napkin, i cleverly replied, "ASK LOLA!" 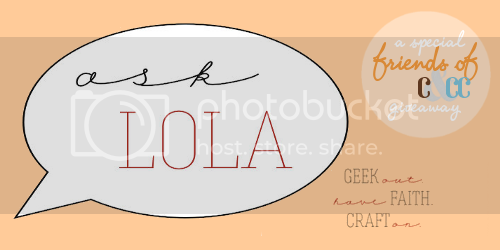 Mariel has long been a Friend of C&CC, and when I put out the call for ads earlier this month, she contacted me wanting to promote Ask LOLA—and offered to sponsor a giveaway! 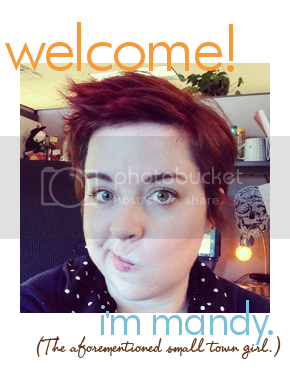 And as y'all know, I'm never one to turn down the chance to give something fun away. 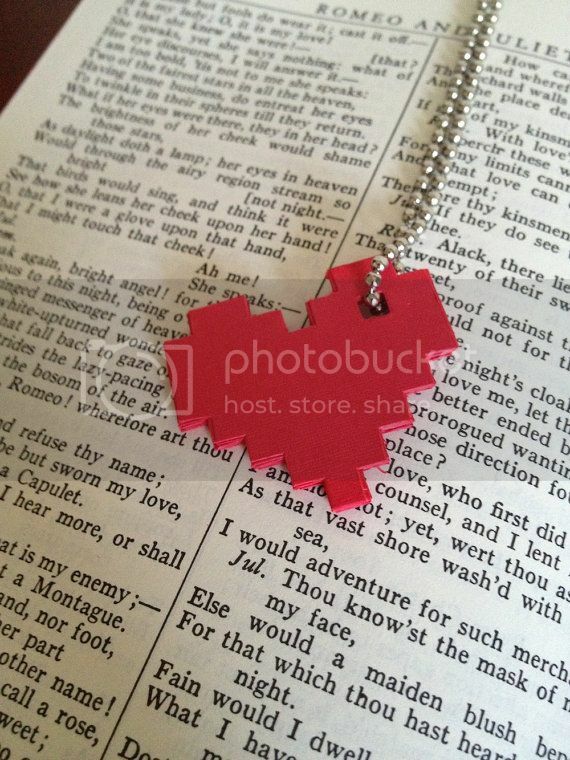 An 8-bit heart paper pendant (plus a few other surprise geek goodies)! Super cute, right? You get one entry for leaving a comment on this post—tell us what you geek out about the most and what your favorite color is. Favoriting Ask LOLA on Etsy. Following Mariel on her blog (www.marielmohns.com) or on Twitter (@marielmohns). Please leave a separate (nested) comment for each entry, and include your email address in at least one of them so that I can contact you if you're the winner. This giveaway will close at midnight Sunday, Sept. 9—so get your entries in now! I geek out the most about TV and candy! My favorite color is fire engine red! The necklace is adorable, but I think her crocheted coffee sleeves are fantastic! How perfect are those for fall? What I geek out about? Harry Potter. Anything and everything. there is some super stuff on her etsy. i love this kind of stuff. i probably geek out the most about my kids honestly. after them it's be star wars. my favorite color is purple/magenta/fuschia... or orange. Love the pendants on her Etsy! Geek out on: Anything by Joss Whedon (Buffy, Angel, Firefly, Dr. Horrible, etc), Doctor Who, and Harry Potter. I totally geek out when I get a new comic book. I geek out on my son! My fav.color is green! I favorited Ask Lola on Etsy.